As Gloria Arroyo heads to her retirement home in Pampanga (isn't that the reason for the very frequent visits to her hometown?) in June 2010, we hope she will reflect on what went wrong in her decade-long misrule.Hopefully ,this self-reflection in the twilight hours of her presidency will encourage her to own up to her big mistakes. Gloria should reflect on the 10 most important mistakes that shaped her presidency.It's a pretty solid list.We list them in the order of gravity of the mistakes. 1) Orchestrating HR 1109.Members of the opposition had warned of a possible proclamation of martial law and possible "Arroyo dictatorship", following the approval of House Resolution 1109, which empowers a Senate-Less Congress to convene itself into a Constitutional Assembly to amend the 1987 Constitution. 2) Lifting the phone and calling Garci. This infamous phone call raised very serious doubts about her electoral victory in 2004. 3) Blocking all impeachment attempts against her. The House of Representatives, which is dominated by Arroyo's coalition allies, blocked all attempts for an impeachment trial. No trial has taken place thus far to clear her of all the serious allegations against her and her accomplices in government. 4) Pardoning Erap so quickly.Estrada, 70, was convicted on charges he took bribes and kickbacks while in office. 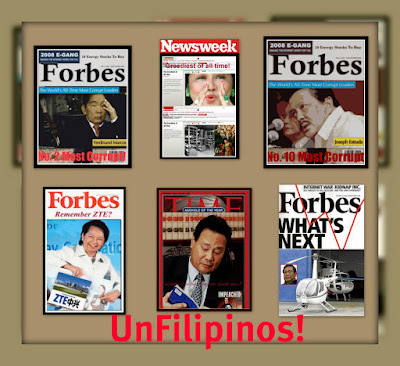 He was sentenced to life in prison and ordered to forfeit a mansion and more than US$15.5 million (€11 million).As it turned out, Arroyo pardoned Erap almost immediately after his conviction in September 2007. 5) Promising not to to run in the 2004 elections. In front of the Jose Rizal monument in Baguio,Arroyo announced on Rizal Day 2002 that she had to decided to drop out of the presidential race in 2004. "It is God who puts ideas in my heart,"explained Arroyo. 6)Changing her mind about not running in 2004. 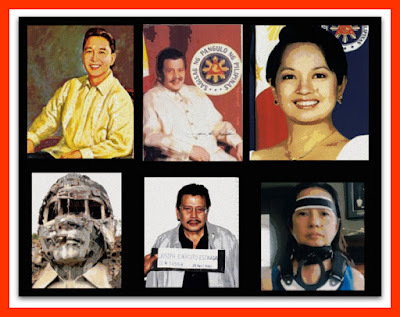 "I will run for president in the May 2004 elections,Arroyo said in a speech in Clark . "I remain married to the country.Thus,I have deferred my retirement." 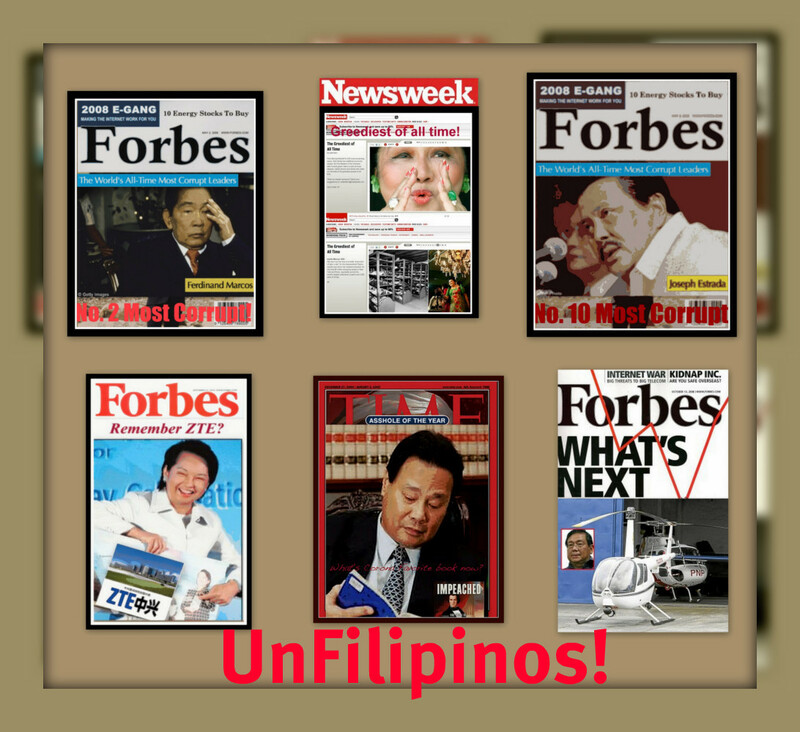 7)Issuing EO 464.In September 2005, Gloria Arroyo clipped the powers of Congress to conduct hearings and to summon officials of the executive department to testify before congressional inquiries. 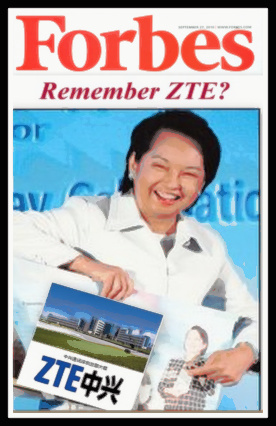 8)Invoking executive privilege on the scandal-tainted ZTE-NBN deal. Did Gloria Macapagal-Arroyo follow up the national broadband network (NBN) project with then socioeconomic planning secretary Romulo Neri? 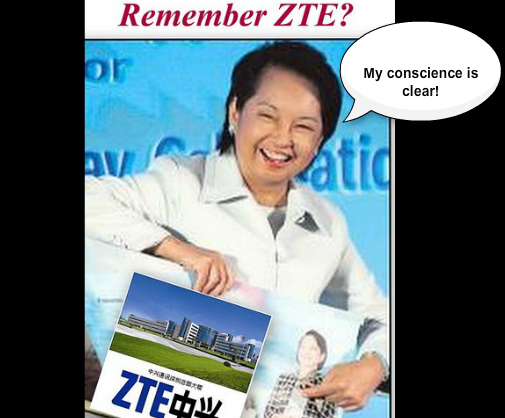 Was Neri dictated to prioritize the Chinese firm ZTE Corporation? 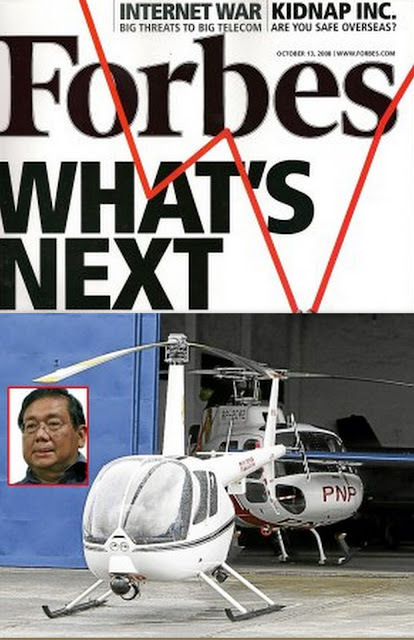 Did Arroyo tell him to go ahead and approve the project despite being told about the alleged bribe? We will never know the answers to these three all-important questions of the Senate. 9) Spending extravagantly in junkets and expensive dinners abroad. Remember her famous call to action for frugality :"I ask our people to spend on the basics before the luxuries so our children will have enough to eat." Enough said. 10) Deciding to stay in the U.S. while typhoon "Frank" battered the Philippines.Seemed pretty callous!